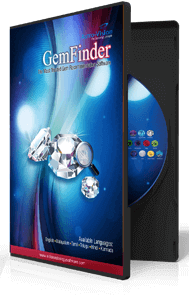 GemFinder 11.0 software recommends remedial gems suitable for you, based on the Birth Chart and Planetary Positions. The Planetary effect and Dasa-Balance are considered for gem recommendation. 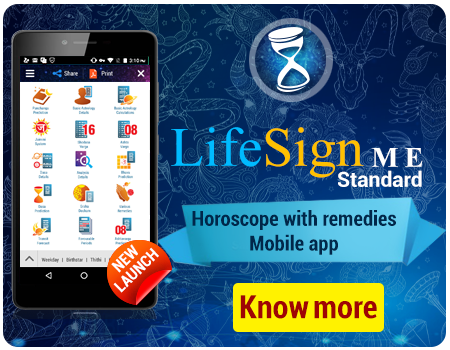 The system of horoscope analysis is used for general recommendations while the stellar healing principles of direct remedies are used for specific illness and problems. Gems are recommended for Birth Months as per the Western System and for Birth Stars as per the Indian System. Even the ideal carat size, the metal on which the gem is to be set and the finger to wear it on is suggested. Gems are naturally found crystal stones with certain mystical powers. The variety of gemstones found in various colors and shapes have the ability to produce specific effects on our lives. As they differ in their physical and chemical properties, the effects they produce also vary. 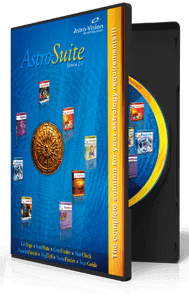 The ancient science of astrology associates this special power of gems with the effects of 9 planets. 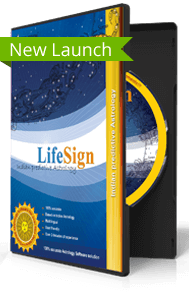 Analyzing the Birth Chart of an individual, Vedic Astrology recommends the use of specific gem/gems for specific time periods. Wearing the right gem/gems strengthens the influence of specific planet/planets on native’s life which can help him/her achieve specific goals or alleviate certain ill effects. Vedic Astrology associates the 9 planets (Navagrahas) to 9 different gem stones (Navaratnas) and the right selection of gemstones is so crucial to avoid causing negative results. Astro-Vision’s Gem Recommendation software can help in this context with its precise calculations and recommending the right gem to wear. Gem Recommendation Software analyses your horoscope and recommends the gems to be worn. The software, before recommending the most suitable gem, critically analyses planetary effects (Strong/Weak, Favorable/Unfavorable) and lordships of houses and considers Dasha-balance too. The Software suggests specific gems to strengthen the effects of specific planets. Ruby for Surya (Sun), Pearl for Chandra (Moon), Coral for Mangala (Mars), Emereald for Buddha (Mercury), Yellow Sapphire for Guru (Jupiter), Diamond for Venus (Shukra), Sapphire for Sani (Saturn), Hessonite for Rahu and Cat’s eye for Ketu. Recommends gems for specific problems and illness. 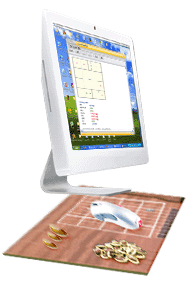 The software also considers the therapeutic qualities of gemstones. It makes use of Stellar healing principles and recommends gems as remedies for specific problems and illness. Gems are recommended for Birth Stars as per the Indian system and for Birth months as per Western system. 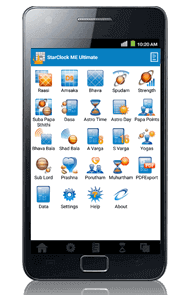 Gives information on the day you should start wearing gem, the metal on which the gem is to be set, its carat size, the finger to wear it etc. Gives you tips on purchasing and handling of gems, and mentions the time you should change or stop using a gem.